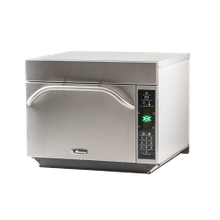 Commercial microwaves and high speed ovens offer quick cooking solutions for foodservice operations of all sizes. 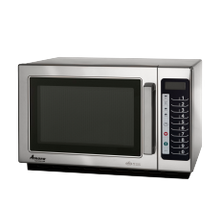 Cook, reheat, and thaw foods with a commercial microwave oven, or combine the speed of a microwave with the cooking capabilities of a forced air impinger oven, and your high speed oven can cook just about anything. To save even more time, our selection of microwaves and high speed ovens are equipped with fully digital and programmable touchscreens, so your food is always consistent.